Our Team - Human Engineers Inc. Engineers, doctors, and prosthetic professionals. Human Engineers. Mike has been working with prosthetics and orthotics for over 45 years. He served in the Medical Corps of the US Navy going to places such as the Philippines, Japan, Hong Kong, and Vietnam. After leaving the military Mike went on to receive his bachelor's at California State University Hayward, and then received his training in prosthetics and orthotics at UCLA. Mike has participated in 21 medical missions in the Philippines since 2007, and created Human Engineers, Inc., in November 2012. 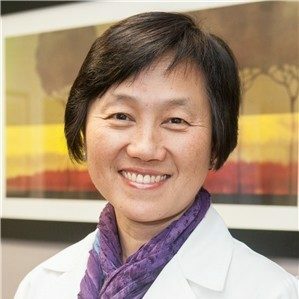 Grace Ang is a thorough and detail-oriented physician specializing in internal medicine in Sunnyvale, CA. Dr. Ang began her medical education at the University of Santo Tomas Faculty of Medicine and Surgery. She then attended the Danbury Hospital Center to complete her postdoctoral training in Internal Medicine. Dr. Ang sees patients that are experiencing illnesses, high blood pressure or hypertension, sexually transmitted diseases, and diabetes. She is a member of the Human Engineers Board. Anthony is pursuing an M.D/Ph.D. at Stanford University. He has worked in the Straight Lab at the Stanford University School of Medicine for the past three years, focusing on the interactions of centromere proteins during mitosis. Although his primary focus is in medicine, he has also had an interest in health policy, and has interned with the UN Development Program and the World Health Organization. For Anthony, Human Engineers is an exciting challenge requiring the use of limited resources to make as big of a difference as possible in many people's lives. Nik Evitt is a first-year M.D/Ph.D. student at Perelman School of Medicine at the University of Pennsylvania. He aims to research emerging cancer therapies and medical device technologies. Nik graduated from Stanford University in 2015 with a B.S. in Chemical Engineering with honors and distinction. At Stanford, he served as a teaching assistant for courses in biomedical innovation, taught a general chemistry lab class, and tutored. He also contributed to drug development as a Genentech intern and hardware technologies as a research scientist at Apple. Nik looks forward to years of medical missions as an advocate for patients and a student of their creative solutions to rehabilitative care. James Nie has been a member of Human Engineers since 2014 and serves on its board. He currently works as a Business Analyst at ZS Associates, a consulting firm focused on pharmaceuticals and biotech. He graduated from Stanford University in 2015 with a B.S. in Biology with honors, distinction, and election to Phi Beta Kappa. At Stanford, he worked on developing an electrophysiological screen for GABAergic anesthetic compounds. Outside of science, he is passionate about writing and teaching. Working with Human Engineers has been one of the most rewarding experiences in his life. It has inspired him to pursue a career in medicine, which he will begin next fall at Yale Medical School. He is excited for the opportunity to continue serving patients on future medical missions. 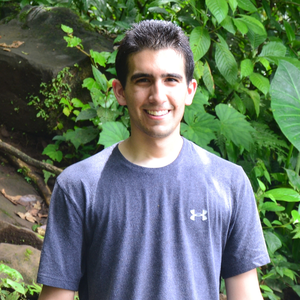 Andrew is a senior at Stanford University studying Bioengineering. He is particularly interested in the impact of medical technology on healthcare system development and delivery in low and middle income countries. As a member of the Wang Lab, Andrew is currently designing and building a more cost-effective catheter ablation system for treating atrial fibrillation. Andrew is involved in a number of groups and projects in the health technology space, working as a consultant for Wing-Tech, Inc., a management and technology consulting firm that specializes in medical technology evaluation, as well as a teaching assistant for a medical device innovation course. Andrew attended a mission in 2015 and hopes to continue to be a part of these missions for the years to come. Clara graduated Stanford University with a B.A. in Psychology with honors. 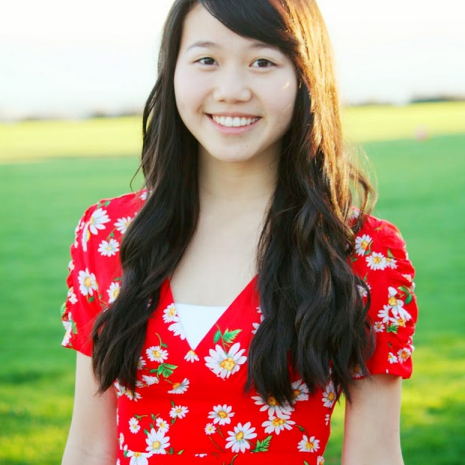 She is passionate about health, society, and psychology and hopes to pursue an MD. In the future, she would like to focus on creating patient-centered, sustainable, community-based interventions to prevent disease, improve wellbeing, and reduce health disparities. Clara joined Human Engineers because she believes that Human Engineers has the potential to change the lives of hundreds of people and because she admires the organizations dedication to sustainability and community involvement. Juliana is studying Product Design Engineering at Stanford University (’18). She is interested in the intersection of health and technology, and plans to pursue a career in the medical device industry. Her prior experience includes the development of a non-thermal plasma wound healing device at Stanford, research on sensors for 3D-printed prosthetics at Johns Hopkins University, and work with the African Federation for Emergency Medicine in Cape Town, South Africa. Juliana is also an active member of the Stanford Outdoor Outreach Program – which works to empower local youth through facilitated outdoor experiences. Juliana loves the challenge and creativity in building prosthetics with Human Engineers, and is excited to be involved in such meaningful work. She attended a mission in 2015 and co-leads sustainability and education initiatives. Kirsten is a senior at Stanford pursuing a B.S. in Bioengineering with Honors. In the lab, Kirsten has researched the effect of centromeres in embryonic development and now is interested in engineering new protein therapies for cancer. Kirsten has served as a teaching assistant for Stanford Student Biodesign’s medical device design course (MED 275) and tutors calculus and computer science. As outreach is part of her personal mission, Kirsten serves as a health educator at local free clinics as well as organizes K-12 outreach activities through the Society of Women Engineers. Kirsten has enjoyed working with Human Engineers to incorporate engineering and health education to improve the quality of patient’s lives. After graduating, Kirsten plans to pursue an MD/PhD with a focus in pediatric oncology. She attended a mission in 2015 and co-leads educational initiatives. Emily is a junior at Stanford University studying Mechanical Engineering with a focus in biomechanics and Feminist, Gender, and Sexuality Studies. She is passionate about building well-designed tools and technologies for healthcare. At Stanford, she serves as co-president of Stanford Student Biodesign and TA of medical device design course MED275B and organizes Stanford’s annual $100K startup competition. She has worked on mechanical design as an intern at a surgical robotics company and has experience in product design, biomedical research, and digital health. She is also interested in the interplay between technology and global settings and appreciates the privilege Human Engineers offers for her to provide resources and tools to improve patients’ quality of life. Besides work in the Philippines with the Human Engineers, she has also piloted healthcare technologies in Beijing, China and is redesigning maternity wards in Kabale, Uganda during summer 2016. She attended a mission in 2015 and co-leads fundraising efforts. Derek is a junior studying Materials Science at Stanford University. He is passionate about materials for bio-applications. Currently, he is studying hydrogel systems for tissue regeneration applications with Yunzhi Yang in the Department of Orthopaedic Surgery and upconverting nanoparticles for bioimaging with Jennifer Dionne in the Department of Materials Science. He hopes to pursue a graduate degree in Materials Science. In his free time, Derek enjoys running and working with the Stanford Undergraduate Materials Society and Stanford Undergraduate Research Association. He attended a mission in 2016 and co-leads fundraising efforts. Jori is a junior studying Biomechanical Engineering at Stanford University. She is interested in prosthetics, medical devices, patient care, and biotechnology. Jori will also be co-director of The Stanford Gospel choir next year. She was drawn to the Human Engineers group because of their passion for improving the lives of others using both biological and mechanical principles. She attended a mission in 2016. From Modesto, California, Abraham is a second-year undergraduate student at Stanford University pursuing Computer Science. Abraham’s interests lie in medicine, tech, education, and the interplay between them. Before coming to Stanford, Abraham worked with Community Hospice, Inc. as a grief support group facilitator and organized support group programs for children in local underserved elementary schools. Abraham is passionate about work that is people-centric; he is ecstatic to be joining the Human Engineers team and to be contributing to meaningful work. He attended a mission in 2016. 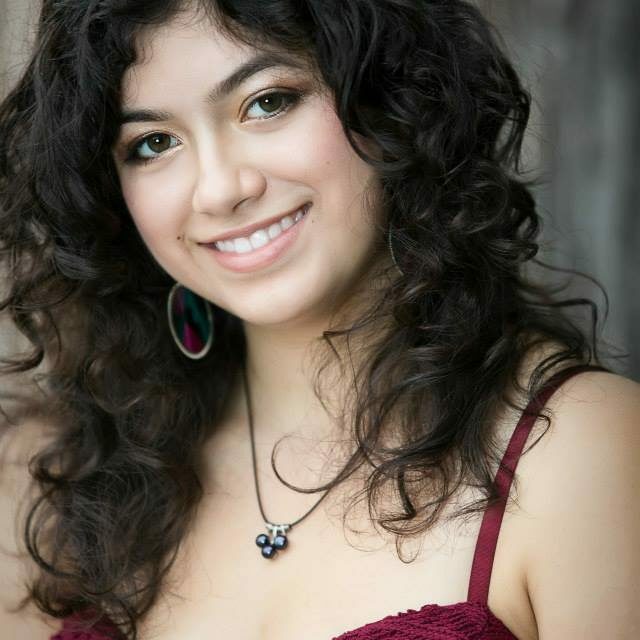 Natalie is a junior at Stanford University majoring in Mechanical Engineering. Originally from Colorado, Natalie interned with the non-profit Bridges to Prosperity for five years before college. She worked on AutoCAD bridge designs in the office and built footbridges in Nicaragua and Rwanda. Natalie is currently an officer for the Stanford Society of Latino Engineers and volunteers to provide local students with opportunities to further their education. She spent 6 months in South America working on engineering development projects in Chavin, Peru and Cordoba, Argentina before studying abroad in Santiago, Chile. In the future Natalie hopes to apply her engineering degree on an international scale and is incredibly passionate about working with Human Engineers because she feels it is a fantastic opportunity to combine her passions for engineering and international development while helping under served communities.